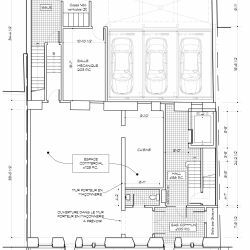 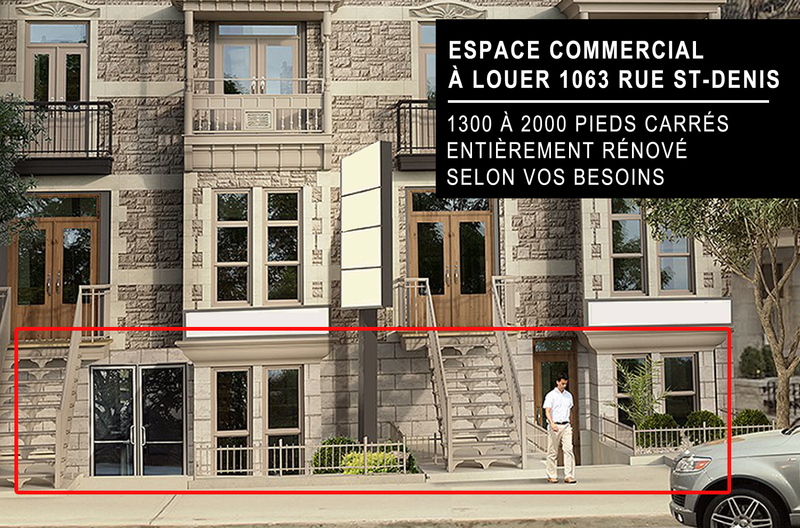 Commercial space for rent at 1063 rue St-Denis in Montreal, entirely renovated according to your business needs. 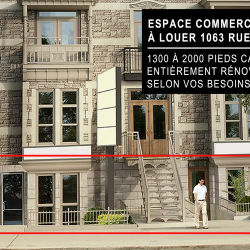 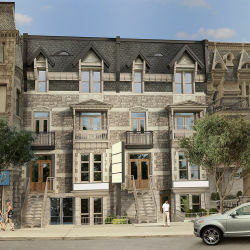 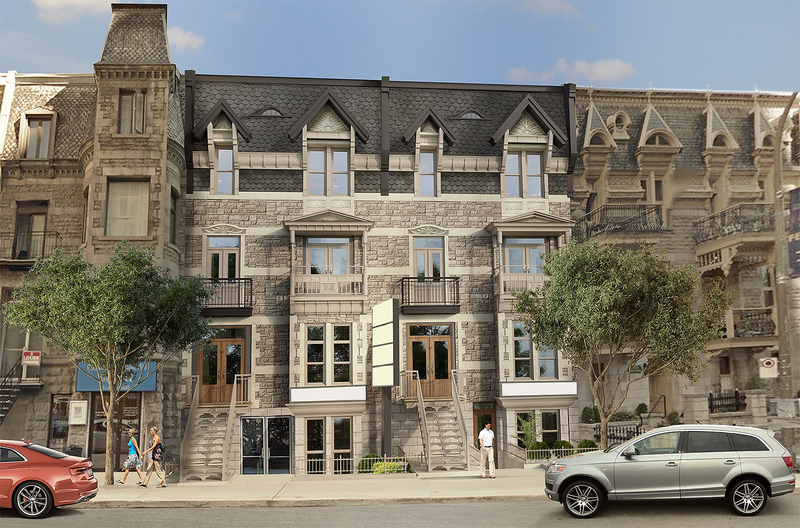 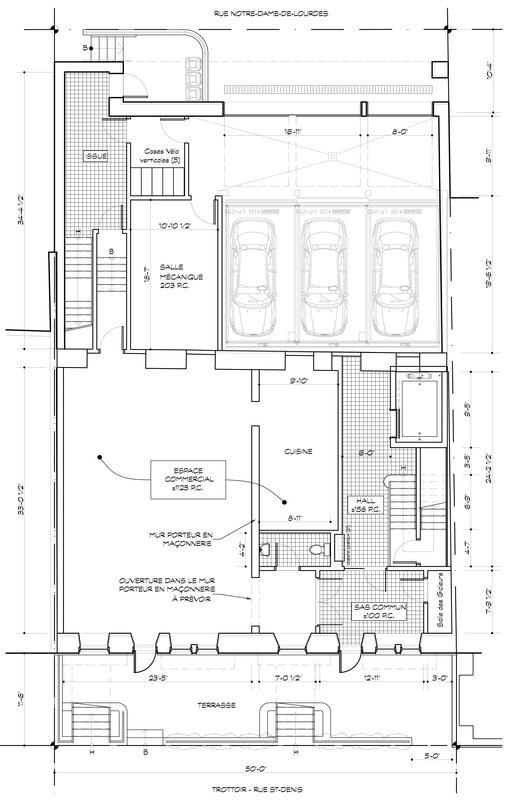 Commercial space of 1300 to 2000 square feet for rent 1063 rue St-Denis, entirely renovated according to your needs. Situated in a new construction project, we will renovate the space according to your business needs. 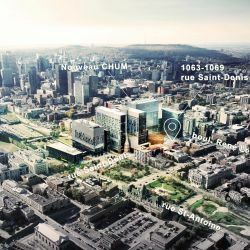 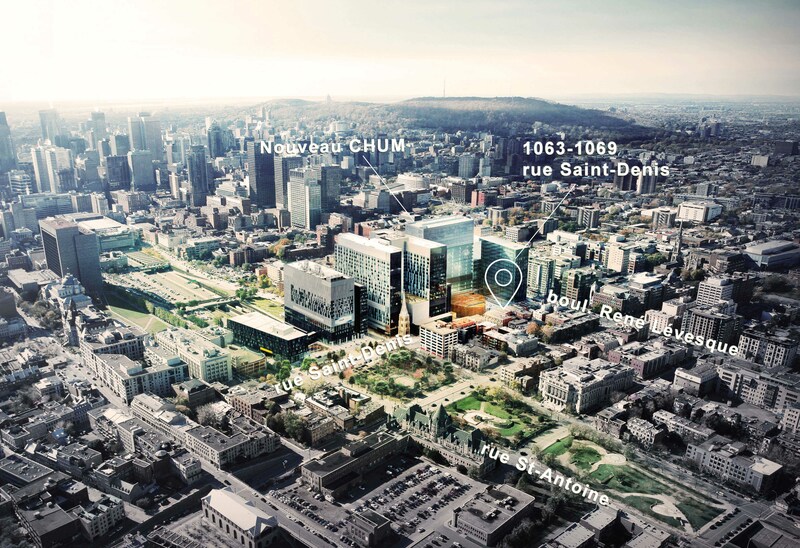 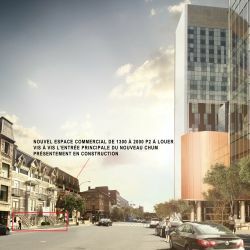 Located in the heart of downtown Montreal, facing the main entrance of the new CHUM, a 3 min. 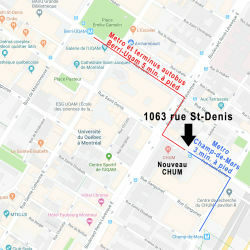 walk to Champ-de-Mars metro and a 5 min. 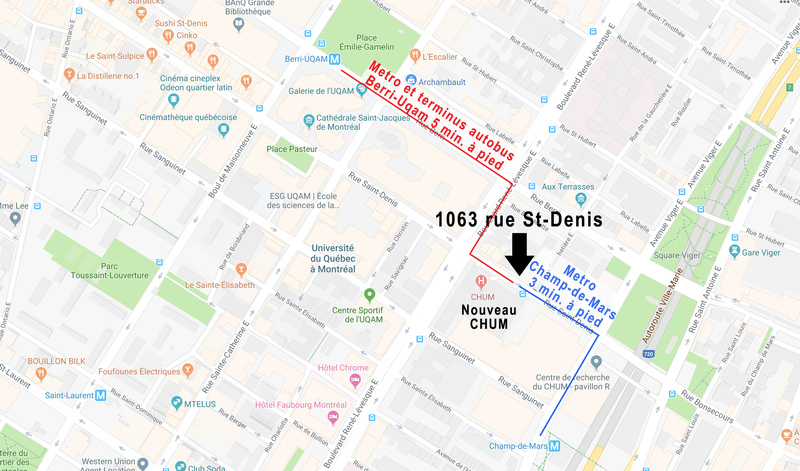 walk to Berri Uqam metro and bus terminal. 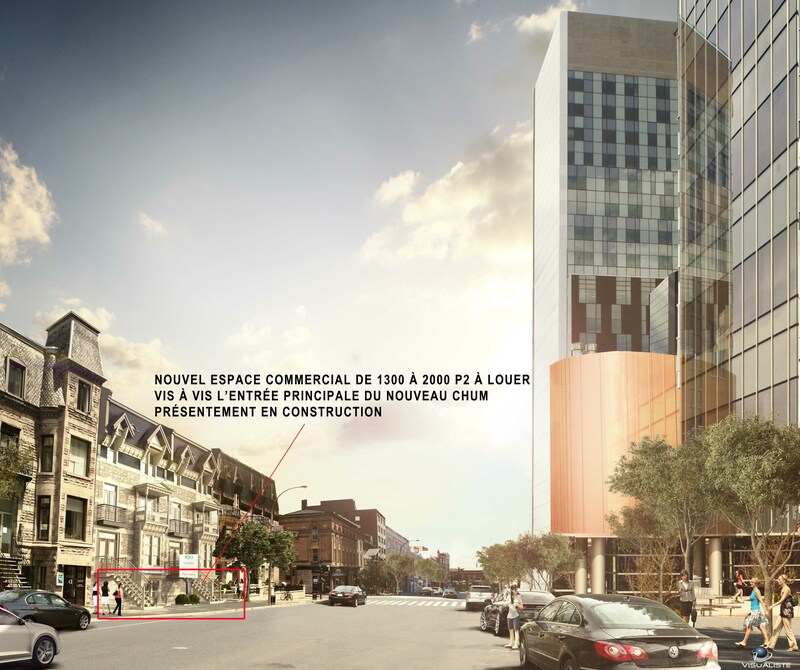 The commercial space is on the ground level of a new patrimonial heritage construction project signed Quorum.